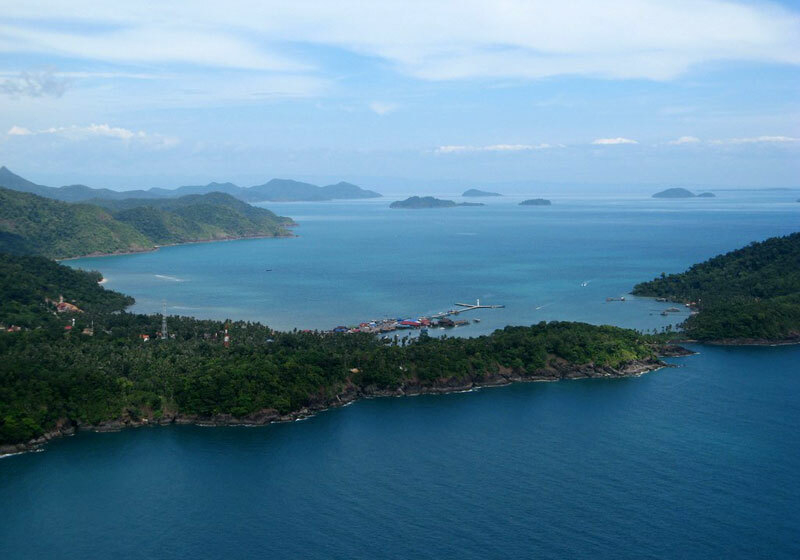 Mu Koh Chang National Park is a collection of over 40 large and small islands. The island chain is situated in the Gulf of Thailand approximately 8 km. from the coast of Trat province. The main island Ko Chang is the third largest island in Thailand after Phuket and Samui and measures nearly 30km long and almost 14 km wide. The other main islands in the group are; Ko Chang Noi, Ko Khlum, Ko Wai, Ko Lao Ya, Ko Mai Si and Ko Rang. The park received status as a national park on 31st December 1982 to become the 45th national park in Thailand. The park covers a total area of 650 km.2 of which about 458 km.2 or 70 % is marine. Short Description: Mu Ko Chang National Park is in Trat Province, eastern Thailand. It spans several provincial districts. It is a marine national park with an area of 650 square kilometres, including 52 islands.